Are you a prospective international student planning to study in Europe? Then there’s a good chance that you are eligible for a scholarship. Whether you are going to study for a Bachelor’s, Master’s or doctoral degree, there are many options available. Check the list below for the country you plan to apply in. Via the Erasmus+ initiative, the European Commission provides funding to students from all over the world to study anywhere in Europe. Check their official scholarships page for details on the available programmes. Grants.at offers a searchable database of research grants and scholarships to study abroad in Austria. Another official database can be found at Scholarships.at. Danish students usually receive a government grant (SU, Statens Uddannelsesstøtte), and under certain circumstances, SU is made available as a scholarship to excellent international students. You can find more details about that at StudyinDenmark.dk. Some Danish universities also offer their own scholarships and tuition fee waivers, such as Aalborg University or Roskilde University. Finland introduced general tuition fees for non-European students in 2017, and universities are now charging up to around 20,000 euros per year in tuition. At the same time, new scholarships were introduced to support gifted students from outside the EU/EEA. To receive a scholarship for studying in Finland, you apply at the same time you apply for your degree programme. Scholarship applications are handled directly via the university. You should apply early and take care in preparing your application as there are only limited resources available. For more information about tuition fees and scholarships at universities in Finland, check out studyinfinland.fi. While students from the EEA can study almost for free, France introduced higher tuition fees for international students starting in autumn 2019. (Read our guide about university tuition fees in France.) You may want to get financial aid to cover the tuition charges or to cover your cost of living. 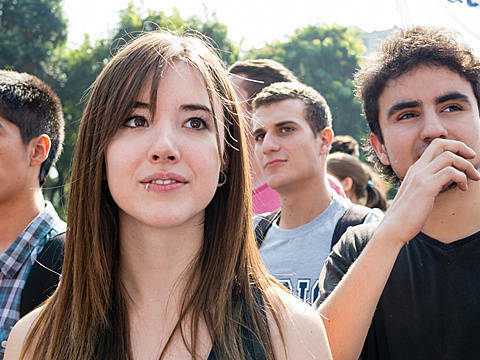 The official government-run website CampusBourses lists more than 250 grants for students. You can filter by subject area and nationality to check if you are eligible to apply. Many French institutions also have their own scholarships or tuition fee waivers for gifted students. You should inquire this with their international offices before applying. Although studying in Germany is tuition-free at public universities, you may need a scholarship to cover your living costs. The German Academic Exchange Service (DAAD) lists more than 200 scholarships in their scholarship database. The listings include details about the requirements you will have to meet and how you can apply. There are hundreds of scholarships available for students that want to study in Ireland. They are awarded by a variety of providers, including the Government of Ireland, Irish universities as well as other organisations. You can find more information at Education in Ireland. The Irish Universities Association has also compiled and published a list of grants and scholarships. The Lithuanian government sponsors a number of scholarships for international students that enrol in full-time Master degree programmes. Only citizens of certain non-European countries are eligible, and you have to apply by May in the year that you start your studies in Lithuania. Check out their official website for more information. You can find numerous scholarships to study in Holland with the official Grantfinder. There, you can easily filter results by academic level, subject, and your nationality. Sweden is a very popular country for international students, although costs can run high: often between 10,000 and 20,000 euros per year for tuition, plus relatively high cost of living. The Swedish Institute offers scholarships, often specific to your region or country of origin. Check their website for details. There are also scholarships provided by the universities directly, and administered by their admissions offices. Again, the Swedish Institute offers a list of these scholarships. Universities in the UK charge high tuition fees: The country is among the most expensive to study abroad. At the same time, there are countless scholarships to study in the UK, making it easier for talented students to pursue their degree. The British Council offers a wealth of information. Be sure to also research for region-specific scholarships. For instance, there are some additional options if you study in Scotland - Scotland.org has more details.